It's hard to believe another summer is over and fall is here. Cooler temperatures have arrived, the kids are back in school, and (gasp!) the holidays will be here before we know it! Now is a great time to update your fall accessories wardrobe, get your girlfriends together to catch up after a busy summer, and start tackling your holiday gift list! 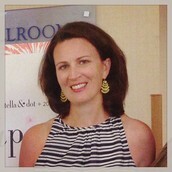 There is a lot going on at Stella & Dot in the next several months. 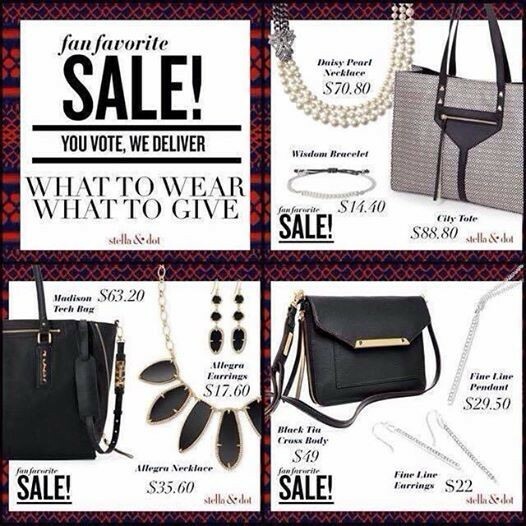 Check out the updates below to see how you can "Fall Into Style" with Stella & Dot! 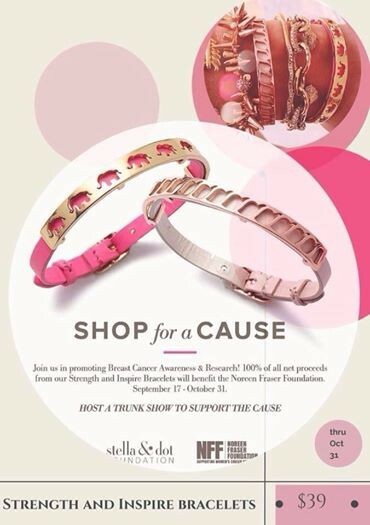 Trunk Show guests will enjoy 50% off the great pieces pictured below when they spend $50 in October! With the promise of the most color we've seen in one collection, and the addition of some great new charms and other personalized pieces, the Holiday Collection is sure to be a huge hit! With half the line under $50, you will have a hard time choosing the just one perfect gift for the person on your list who has everything and is so hard to shop for! (Of course, you'll want to shop for yourself, too!) 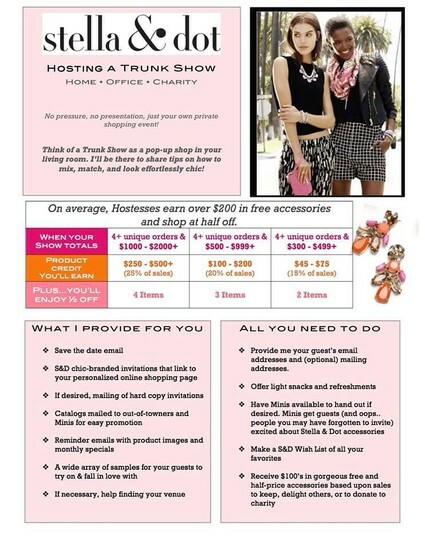 Let's get your Trunk Show on the calendar so you can share the style with your friends and get your favorites for free!! 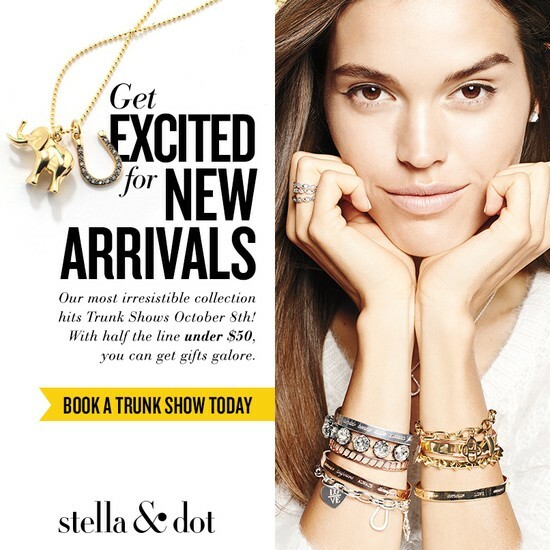 Available Fall Trunk Show Dates!! Book before they're gone! I'm ready to fill my calendar and share some Stella Style with you and your friends this fall! My calendar will fill up quickly, so be sure to book your date soon. To make it easier, I'm listing my available dates here. If you see a date that works for you, let's me know ASAP!! *Online/Facebook/Catalog parties available anytime! Ask me how!! **Day AND evening times available on Saturdays starting in November! Halloween isn't here yet, but I have an early treat for you! 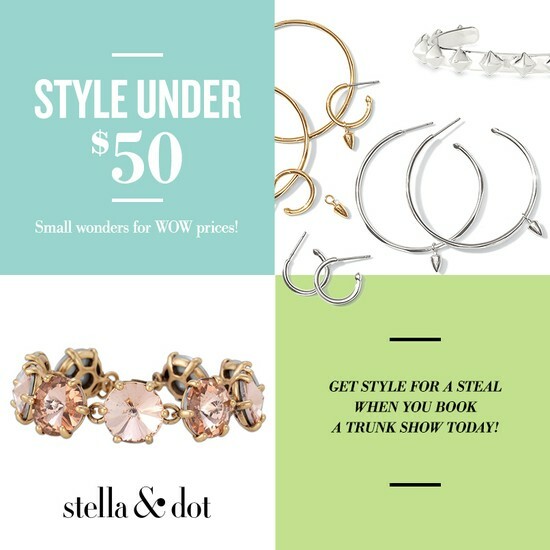 When you book and hold a qualifying trunk show this fall (now through December 14th), you'll receive a FREE pair of studs from me as a thank you! Online shows count, too! (Shows qualify with at least 4 orders and $500 in sales.) 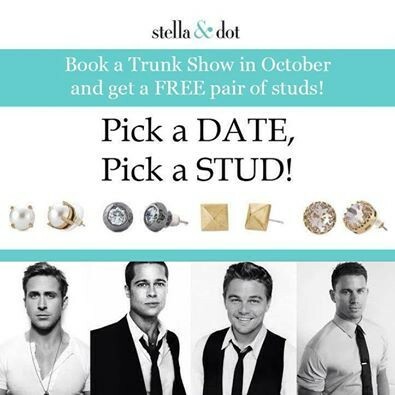 Pick a date, pick a stud...earrings, of course! 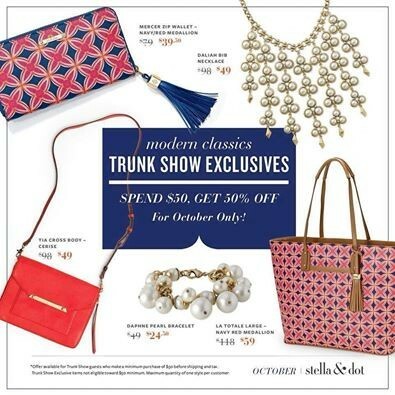 *The photo says October, but I'm extending the offer to ALL fall trunk show hostesses! 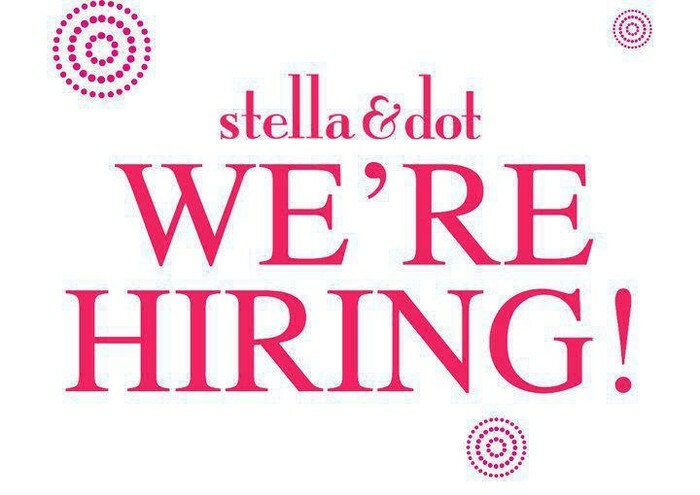 As always, if you love everything about Stella & Dot and want to learn more about the amazing Stylist Opportunity, I'd love to share it with you! Contact me anytime to learn more! If you are looking for a little extra cash this holiday season, now is a great time to join my team! !